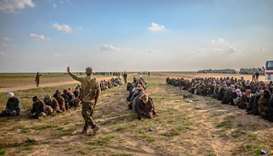 Syria's Kurds warned Sunday that the thousands of foreign jihadists they have detained in their fight against the Islamic State group are a time-bomb the international community urgently needs to defuse. 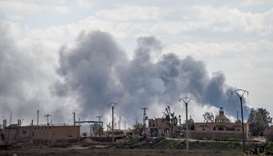 US-backed forces said they had captured Islamic State's last shred of territory in eastern Syria at Baghouz on Saturday, ending its territorial rule over a self-proclaimed caliphate after years of fighting. The young Syrian man crossing out of Islamic State's last enclave in eastern Syria brought confirmation that the fight was still not over despite days of ferocious bombardment by US-backed forces. 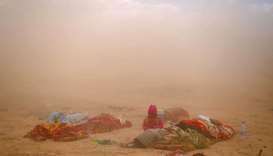 US-backed forces said Wednesday the Islamic State group was living its "final moments" after thunderous shelling on its last scrap of land in eastern Syria prompted 3,000 jihadists to surrender. Armed with assault rifles and with faces wrapped in scarves, the Islamic State fighters visible at the boundary of their last enclave in eastern Syria are among the hardened jihadists who appear ready to fight to the death. 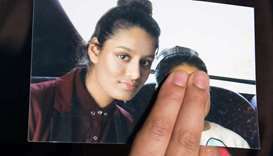 The baby son of Shamima Begum, a British-born teenager who left London to join the Islamic State group, has died in Syria, the US-backed Syrian Democratic Forces said Friday. US-backed fighters will resume their assault on Islamic State's last, small patch of ground in eastern Syria if no more civilians come out by Saturday afternoon, one of their spokesmen said on Friday. 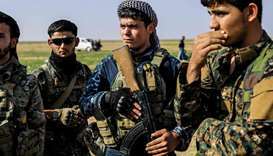 Kurdish-led forces backed by US warplanes rained artillery fire and air strikes Sunday on besieged and outgunned jihadists making a desperate last stand in a remote Syrian village. 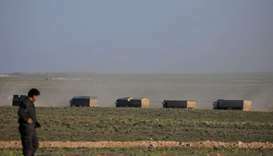 US-backed forces in eastern Syria on Tuesday screened and treated truckloads of suspected jihadists and relatives who left a village where the Islamic State group's "caliphate" is making its last stand. 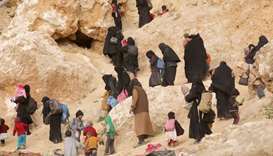 US-backed fighters said Saturday they are keeping a corridor open to rescue remaining civilians from the Islamic State group's last speck of territory in Syria, as the UN appealed for urgent assistance. 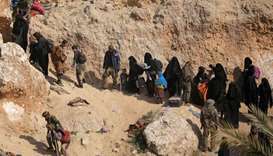 US-backed fighters trucked out civilians from the last speck of the Islamic State group's dying "caliphate" in Syria on Friday, eager to press on with the battle to crush the jihadists. 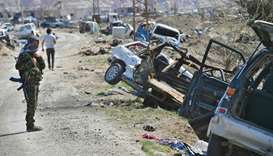 Islamic State appeared closer to defeat in its last enclave in eastern Syria on Wednesday, as a civilian convoy left the besieged area where US-backed forces estimate a few hundred jihadists are still holed up.